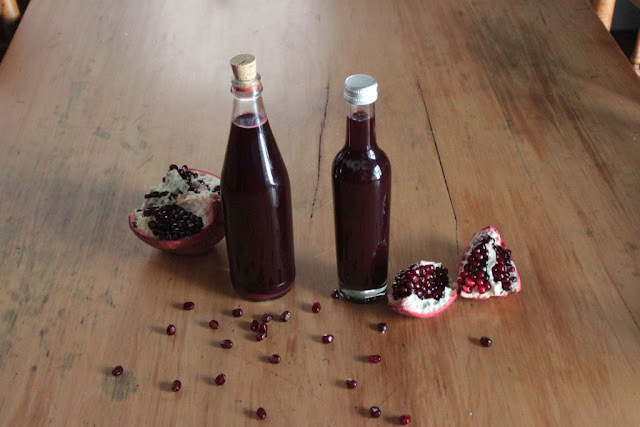 With a prolific harvest of pomegranates this year, I had the luxury of squeezing our own delicious pomegranate juice. 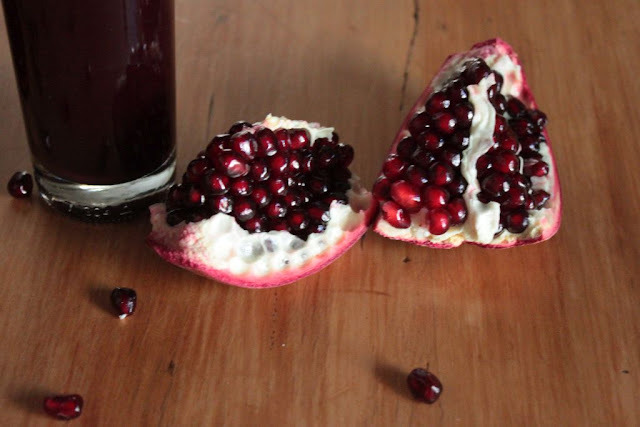 Fresh raw pomegranate juice is so delicious. With a couple of bottles of juice to spare, I decided to make our own grenadine for use in cocktails. 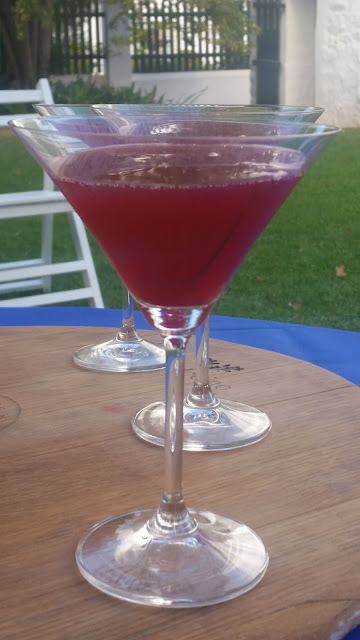 The colour and flavour of grenadine adds excitement to any cocktail. Grenadine was originally made from pomegranate juice, sugar and water but lately the store bought syrup is made with artificial ingredients like fructose, corn syrup, water, citric acid, sodium citrate, sodium benzoate, natural and artificial flavours. If you want real grenadine do read the label before buying. 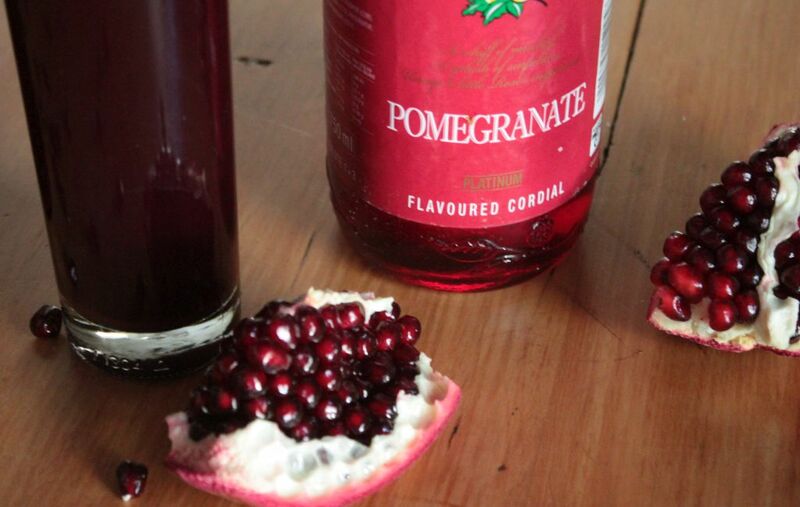 Even high quality grenadine will contain some artificial ingredients. Having the ingredients to make real authentic grenadine made me decide to add this luxury to our cocktail supplies. A ‘high tea’ on the lawn with our friends the Wolff’s, made me decide to treat the family to cocktails on the lawn to kick-off the festivities. And on a sunny Sunday afternoon, I could treat the whole family, even 2 year old Jasper, each to a Shirley Temple, a cocktail made with grenadine and ginger ale and garnished with a Maraschino cherry. We proceeded to sip our cocktails savouring the flavour of concentrated pomegranates. 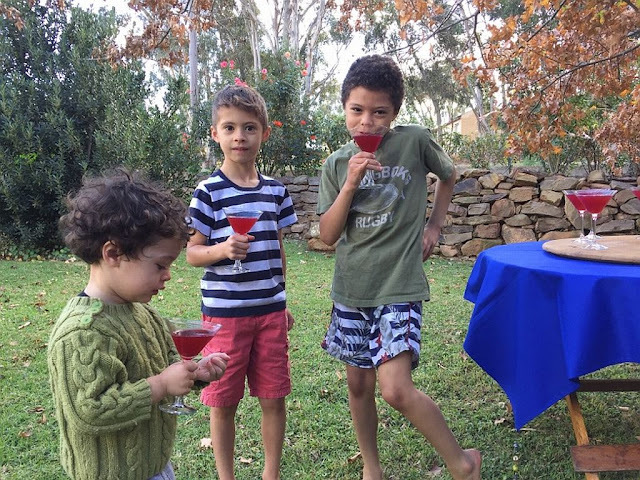 Some of the boys drank as fast as they could to announce “it’s nice, can I have some more”. 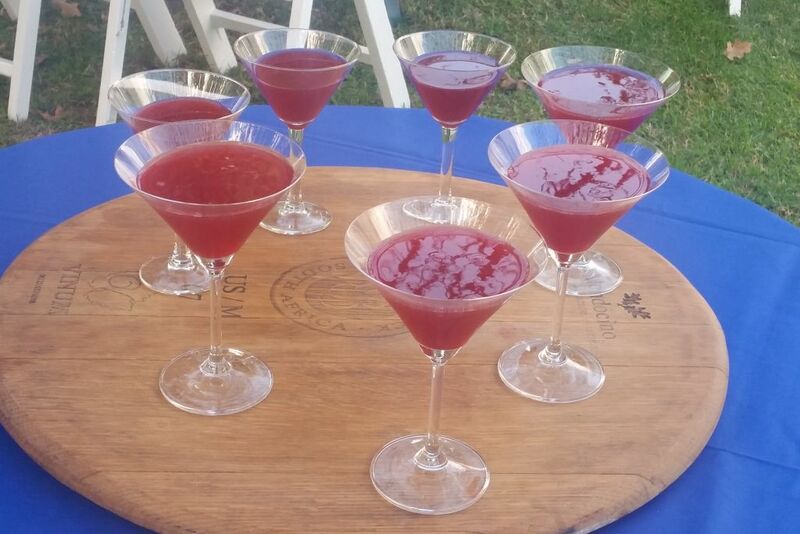 As the story goes, a bartender in California invented the drink to serve to the child actress, Shirley Temple. She herself was not a great fan of the drink created in her honour. She described it as a “saccharine sweet, icky drink”. 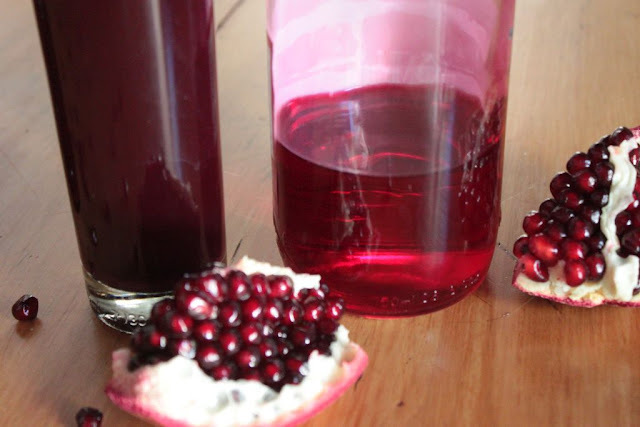 I wonder what she would have said if she could taste the ones I made with authentic grenadine made from Towerwater pomegranate juice. I think that the homemade grenadine has a great future! Well done!